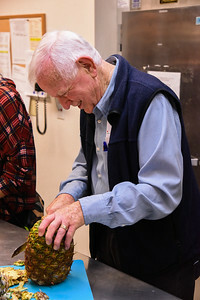 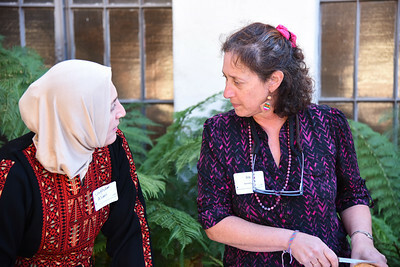 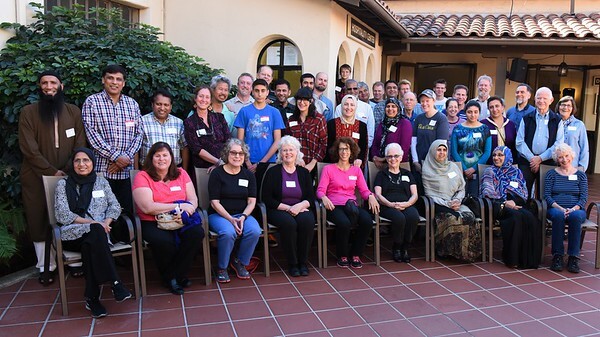 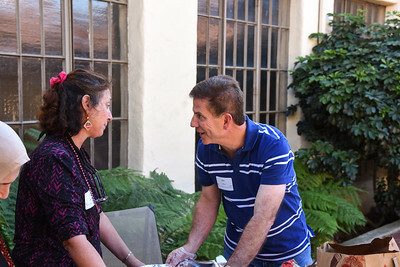 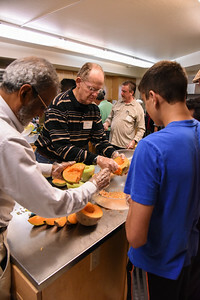 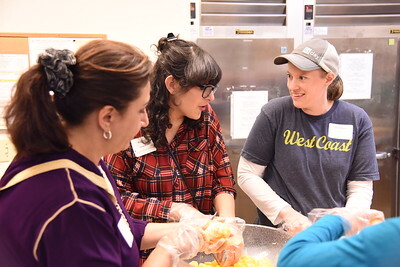 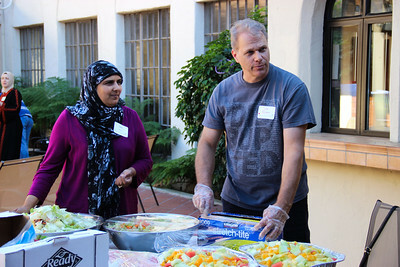 SARATOGA, Calif. — On October 25, 2015, more than 50 Jews, Christians and Muslims from Saratoga Federated Church, Congregation Beth David, and West Valley Muslim Association united to serve 300 meals to the hungry and homeless of San Jose at Cityteam Men’s Recovery Center. 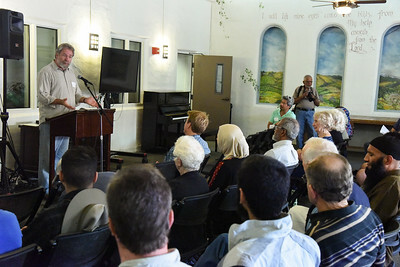 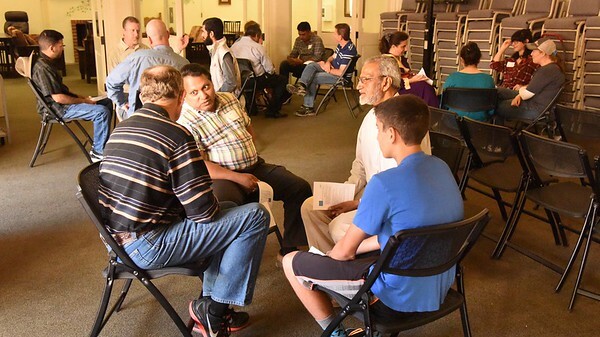 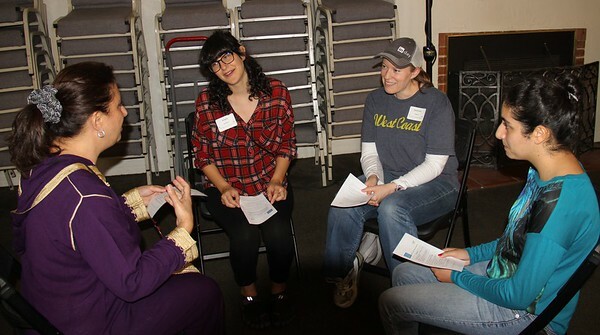 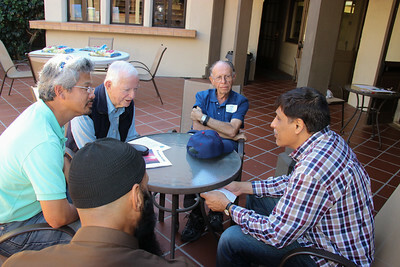 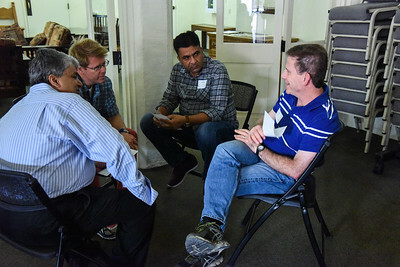 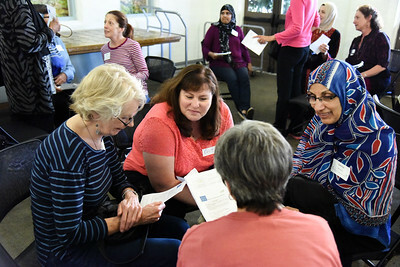 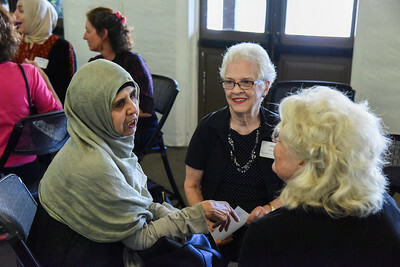 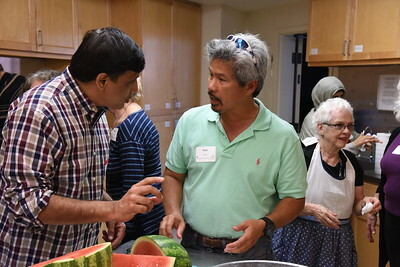 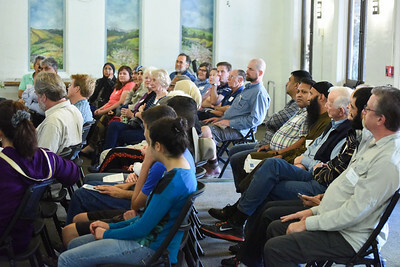 Volunteer orientation was held at Saratoga Federated Church and led by Pastor Arvin Engelson, Carol Cassel of Congregation Beth David, and Mohammad Shabbir of West Valley Muslim Association. 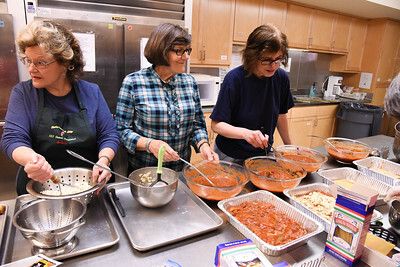 Volunteers united in Jewish-Christian-Muslim buddy groups first to get acquainted, then to prepare and serve the tasty kosher and halal lasagna meal. 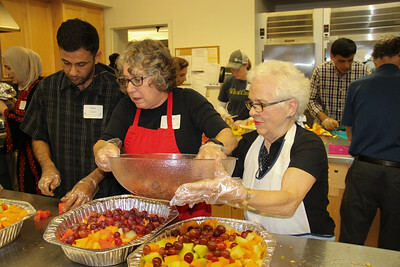 Rabbi Philip Ohriner recited a blessing over the food before residents of the shelter dined. 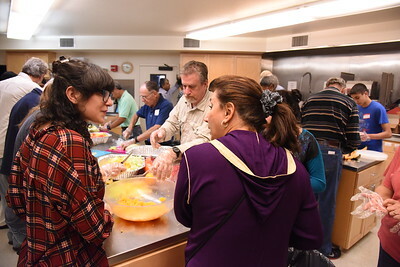 Pastor Engelson thanked God in prayer before meal service to homeless guests. 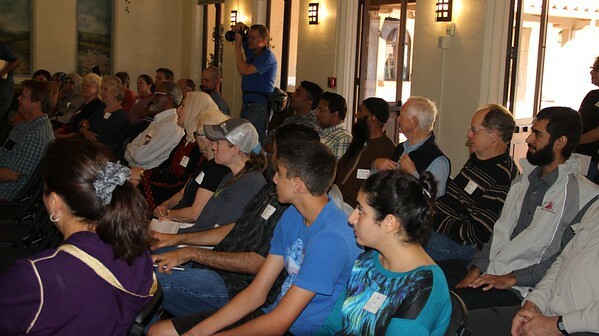 All savored the sweet baklava for dessert. 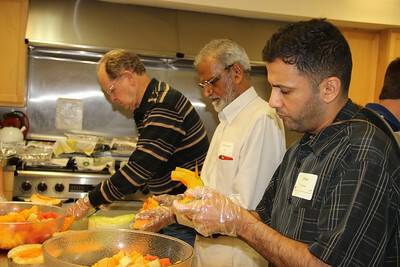 While guests enjoyed the meal and volunteers enjoyed conversation, several volunteers commented, “This is awesome! 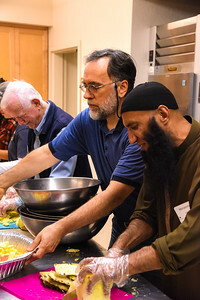 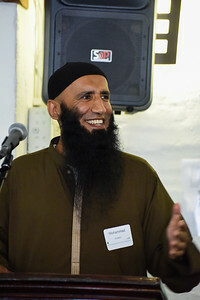 It’s about time!” After all volunteers dined together, Mr. Mohammad Shabbir closed the event with a prayer of thanksgiving. 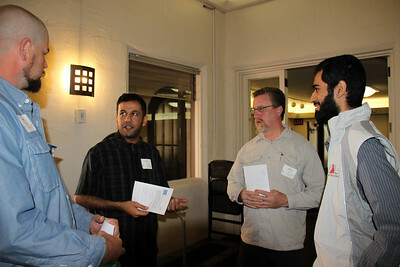 Photos courtesy of Chris Cassell and Qamar Noori. 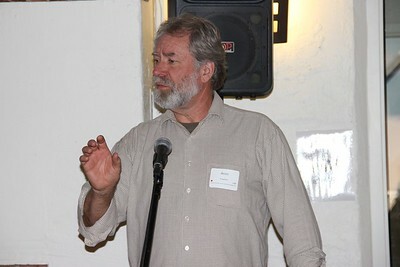 Image Curator: Nathan Flohr.